The play starts with Marquis Teague bringing the ball up and getting it to Davis as he flashes out to the 3-point line. After Teague makes the pass, he heads to the corner and sets a screen for Michael Kidd-Gilchrist. Kidd-Gilchrist comes off Teague’s screen and gets a dribble handoff from Davis. After getting the ball to Kidd-Gilchrist, Davis dives to the ball-side block. Davis then comes off a cross screen set by Lamb and gets position in the post in order to get the ball from Terrence Jones. Jones makes the post entry pass and heads down as if he were going to cut through the lane. 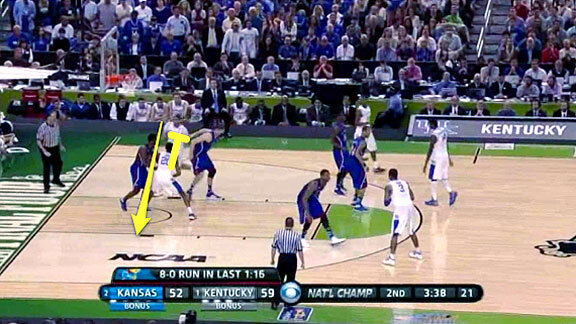 Instead, he stops in the middle of the paint and sets a screen for Lamb. 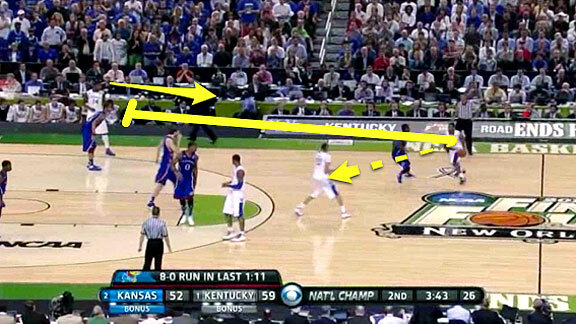 In this screen-the-screener set, Lamb curls off Jones’s screen and looks for the pass from Davis. 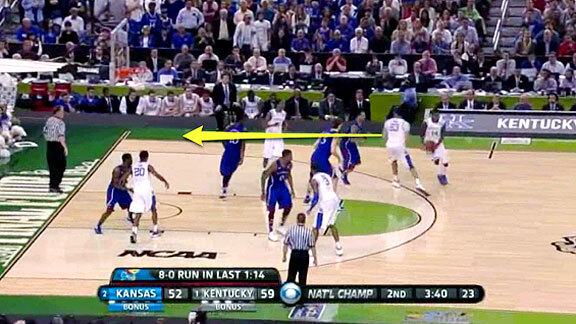 Now, the jumper rims in and out, but this is a tremendous play by Kentucky. 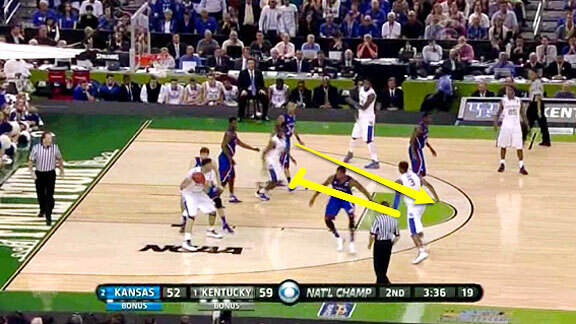 Coach Cal wanted to put the game away, and he nearly did it by running a great play that used several concepts. There is a screen-the-screener action, with Jones setting a screen for Lamb, who just set a screen away from the ball for Davis. 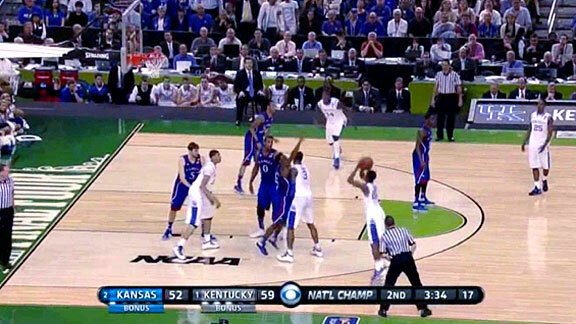 The action also sets Davis up on the block, which made it look as if that were the end point of the play. It was that confusion that allowed Lamb the wide-open look. Cousin Sal's Gambling Blog: MLB Edition!